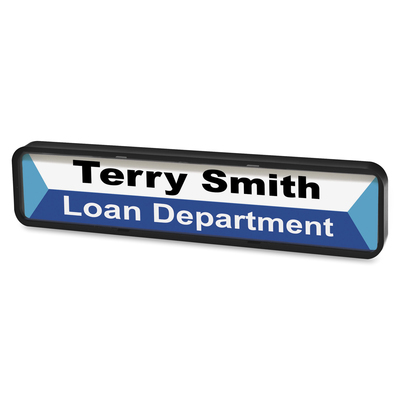 Create your own laser/inkjet sign from easy-to-use templates. Sticks on wall or attaches to door to identify any area. Includes panel wall hooks and double-sided foam mounting tape. Translucent cover reduces glare and protects sign. 9905008660334 "Sign Holders, Aluminum, 9 11/16 X 11 3/4 Ins., 10/Pg"
Create your own cubicle or wall sign in just minutes with the easy-to-use "Do-it-Yourself" sign. Use web-based templates to create the customized insert and print out on your laser or inkjet printer. Translucent cover reduces glare and protects sign. Includes panel wall hooks and double-sided foam mounting tape.